We have some premium Spring dates available. Summer vacation time slots are booking up fast. Make your booking as soon as possible to insure our home is available for your dates. Make your reservation now to reserve your dates while some of the best dates are still available. Our 2 acre property is on the Upper Truckee river with great private park-like setting. SEE OUR CALENDAR FOR AVAILABILITY AND CALL US AT 530-577-7898 TO MAKE A RESERVATION. Our HOME is DOG FRIENDLY at no extra cost. 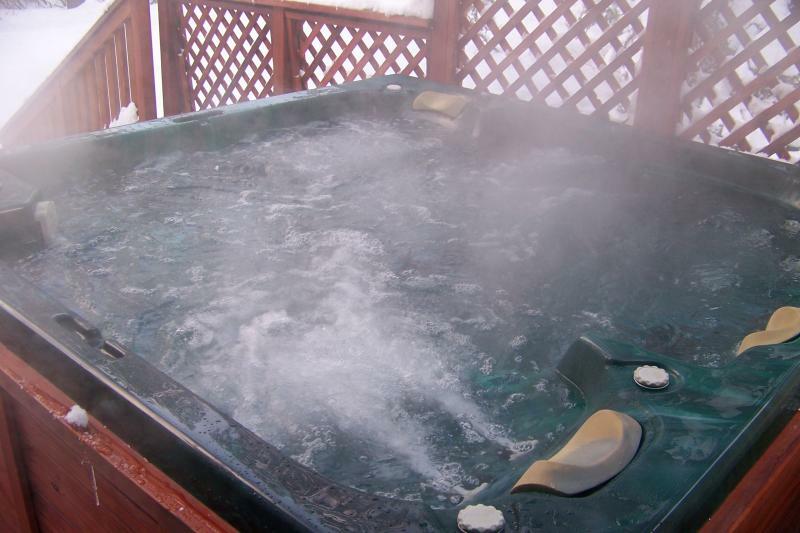 Our home is PROFESSIONAL cleaning upon departure and hot tub drained and sanitized after each guest rental. Call now to reserve you vacation dates. Our Lake Tahoe Vacation Rental is the luxury main house of a private estate. This rental is perfect for family gatherings. The Main House is a Four Bedroom home with a large HOT TUB located on two acres along a private stretch of the Upper Truckee River in South Lake Tahoe. This South Lake Tahoe Vacation Rental Property is centrally located between Heavenly Valley Ski Resort, Sierra-at-Tahoe and Kirkwood. Located at the foot of Echo Summit, this South Lake Tahoe Vacation Rental Property maintains the "Old Lake Tahoe experience" with privacy and easy access. This South Lake Tahoe Vacation Rental Property is perfect for small private gatherings m 12 people maximum. The home sleeps 12 guests. The yard is beautifully landscaped and maintained in a natural park-like setting. All linens, dish towels and bath towels are provided for your use. This home is professionally cleaned after each use and the HOT TUB is drained and sanitized after each guest rental to provide you the confidence that the home is cleaned upon arrival. Check-in is at 4:00 PM and Check-out is at 11:00 AM to allow the cleaning crew access. Our South Lake Tahoe vacation rental home is located on two park-like acres along the Upper Truckee River in Christmas Valley at the foot of Echo summit. Easy access to this property is from South Upper Truckee Road. The South Lake Tahoe estate property is one of four private parcels surrounded by US Forrest Service property. Almost one mile from the nearest neighborhood on our side of the river, this is a very private estate.